Ankle joints and feet are the link between your body and the ground. 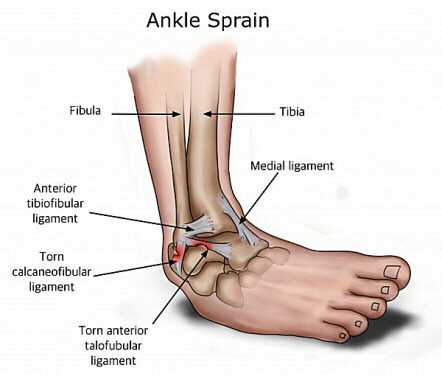 If you ‘roll your ankle’ as the foot hits the ground, the ankle may be sprained. Cobram physio can assess your ankle to determine the severity and type of injury, and provide treatment which promotes healing and recovery. They can offer strategies and exercise to prevent sprains and improve performance. The ankle joint is made up of four bones shaped to make the joint stable. Increased stability of the joint is provided by ligaments, which are bands of strong, fibrous tissue that guide movement and prevent the joint from moving too much. 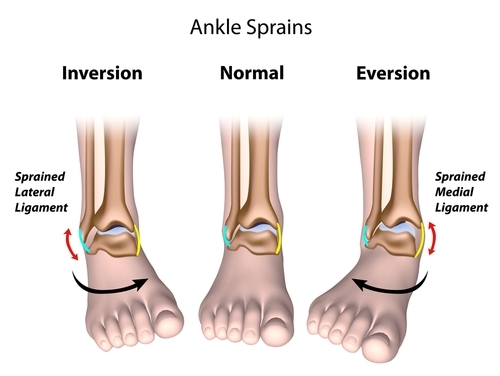 An ankle sprain occurs when the ligaments are over stretched causing ligament fibres and small blood vessels to tear. Pain, bleeding in the tissues and swelling are the result. avoid any of the H.A.R.M. factors: Heat, Alcohol, Running, Massage. If you are experiencing ankle pain, it is important that you have your condition assessed at Cobram Physio.